Craig MacGillivray, Lee Brown, Tom Naylor and Ronan Curtis were all thrown straight into the side on the opening day of the 2018/19 campaign. Surprisingly there was a start for Jamal Lowe, who was expected to miss out with an ankle problem. Newly promoted Luton Town were playing their first game at this level in ten years having come back from the Conference where they ended after points deductions over financial irregularities. The teams were greeted by a crowd of over 19,000 and the hot sunshine was only slightly tempered by a zephyr of a seas breeze. The only goal of the game came on sixteen minutes when Curtis got past his man who slipped on the edge of the box and made it to the byline before pulling the ball back for Lowe to roll into an unguarded net. From there on the visitors who have a poor record at Fratton Park had the majority of the game and hit the frame of the goal twice. Pompey defended well but gave the ball away too cheaply and Close came on for Walkes to try and but had keeper MacGillivray to thank for a string of fine saves and interceptions. Kenny Jackett replaced skipper Brett Pitman at half time with Oli Hawkins as he felt it was not Brett’s day. Of the debutants, Brown looked solid at left back but whether Haunstrup is the answer to the left side remains to be seen. Brendan’s deadball delivery was poor too but perhaps not as bad as that of Luton’s Alan Sheehan. Naylor looked assured in front of the back four although at times there was confusion with two players going for the same ball but that should be sorted when players become familiar with each other. Curtis looked a handful but got a little overzealous and was booked for persistent misconduct however he looks a good find. 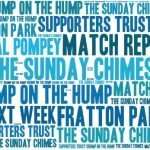 Chimes has been away since the end of last season so let’s have a catch up on what we missed. The first thing is that our long-time Editor Pompeyrug has become a father. On Friday 27th July his wife Trina gave birth to a daughter River. Many, many congratulations from all your mates you have met during your time at Vital Pompey and we all hope you have many happy years ahead as a family. Robbie Blake the B man – Ex Bradford City, Burnley, Birmingham and Bolton forward has left Pompey’s backroom staff and taken up a role at Bognor. Meanwhile, Pompey brought in Paul Robinson and Jake Wigley. Danny Hollands and Joe Oastler have joined the Academy on a part-time basis along with playing Danny at Eastleigh and Joe at Oxford City. Did you notice that the same three clubs went up to the Championship as came down the previous season but will it happen again? Paul Cook has a remarkable as a manager over the last five years. In 2014 he won League Two with Chesterfield and in 2017 he achieved the same feat with Pompey. He, of course, followed that by taking the League One title with Wigan Athletic. Not bad three titles with three different clubs in five years – oh in the other two seasons he made the play-offs! AFC Bournemouth finished as the top south coast side for the first time in their history with Brighton in second place. The new season will mark 99 years since Pompey were elected to the Football League back in 1920. Since then they have spent thirty-three seasons at the top level, with forty in the second tier, thirteen in the third and six in the fourth. Seven seasons were lost due to the Second World War. That represents almost 80% in the top two divisions. During the close season, Kenny Jackett has added experience and leadership to the first team squad. The particular signings that do that are Lee Brown and Tom Naylor who will fill key roles this season. An experienced goalkeeper Craig MacGillivray came from Shrewsbury allowing young Alex Bass to go on loan to Torquay United for the season. Ronan Curtis, Louis Dennis and Anton Walkes have been signed to add youth and flair to the side. Two of them have no league experience and Walkes had only the games with Pompey last season. The final shock came in the week when the signing of seventeen-year-old keeper Petar During from Atalanta for a fee. Durin is a young Croatian international and the news came as a complete shock to all. It does though show that Pompey are again looking at putting investment into their youth set up something that has not happened for ten years when a certain Asmir Begovic was just one of the more successful acquisitions. Last weekend the two football fans organisations – The Football Supporters Federation and Supporters Direct – held their AGMs and both voted to merge to form one body. 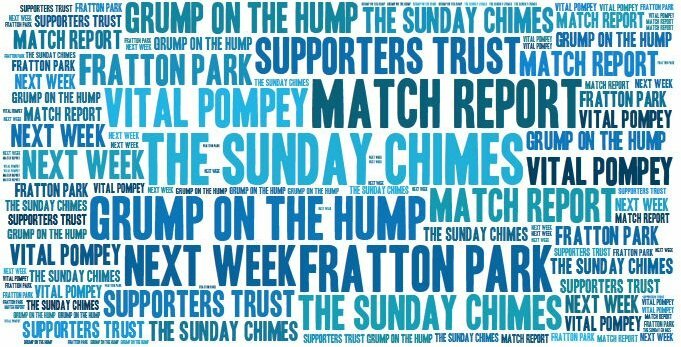 SD, of course, played a key role in advising Pompey fans in setting up the Trust and the FSF provide a great deal of information to fans – including the videos used in this blog – and in the past, our sadly missed Ken Malley was the vice chair. The move to one body makes sense and should us the average football fan a bigger voice in important places. The following joint statement was issued ‘On July 28th at their respective AGM’s both the SD & FSF members voted in favour of a merger of the organisations. The Chairs, CEO’s & board members of each organisation are committed to delivering the merger and creating a modern, effective and powerful single voice for football fans nationwide. 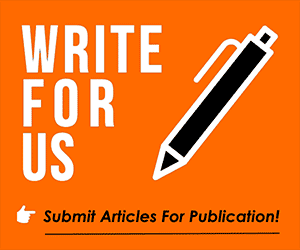 Both SD and the FSF will now nominate two current board members each to join the Chairs and CEO’s on an interim board that will oversee the creation of the new organisation. On average last season around 2,000 season ticket holders do not take up their seats at games – that rising to 3,500 for the final game with Peterborough. Meanwhile, there are fans who, like yesterday, are desperate for a ticket. The club operates a system where holders can surrender their seats for games and get £5 if it is sold off of next season’s ticket. There is no reason for not letting someone else borrow your seat. Use the ticket exchange on the official site. Never before been disappointed with a win. Flat, lame performance and incredibly lucky to get away with that. Far too hot for football yet Luton had energy and were sharper and quicker all over the pitch and normally would have won. Shape up or ship out Kenny, your team will get absolutely battered by half the teams in this division if these performances continue. Talk of promotion is an utter joke unless we get that lucky on a weekly basis. Try injecting some energy into this team and kick out anyone that can’t be bothered. Thanks for all the info on the comings and goings at PFC Dave. Its most welcome. I’ve lost total touch on the scene after dropping out of football for a time. Clueless as to whose even playing for us now… No doubt I’ll soon catch on..